Are you excited as we are?? 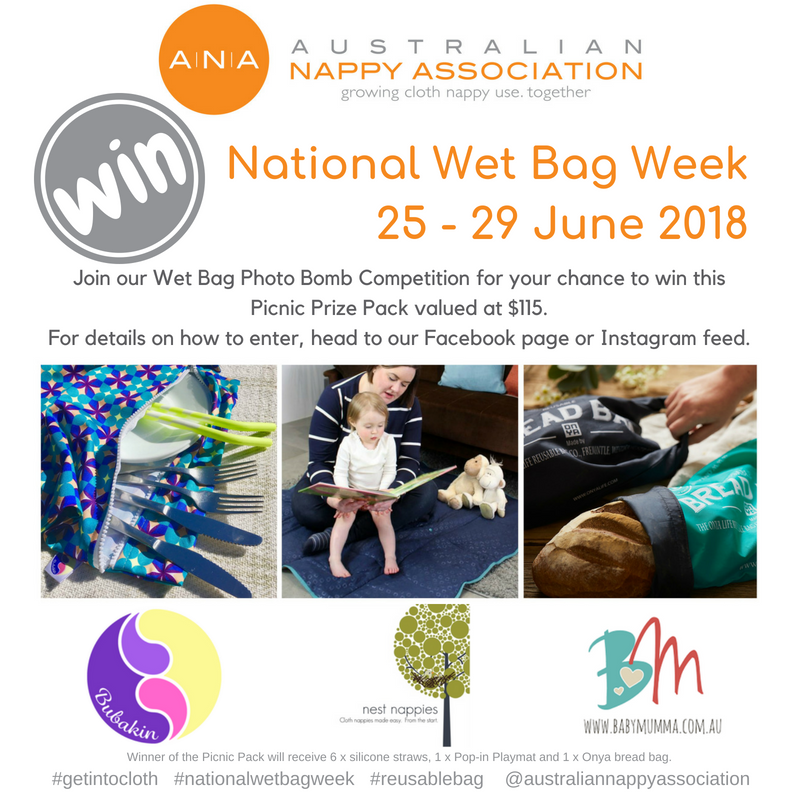 You should be, because we have a fantastic week of wet bag education, celebration and fun lined up and to kick things off, here’s a photo competition! 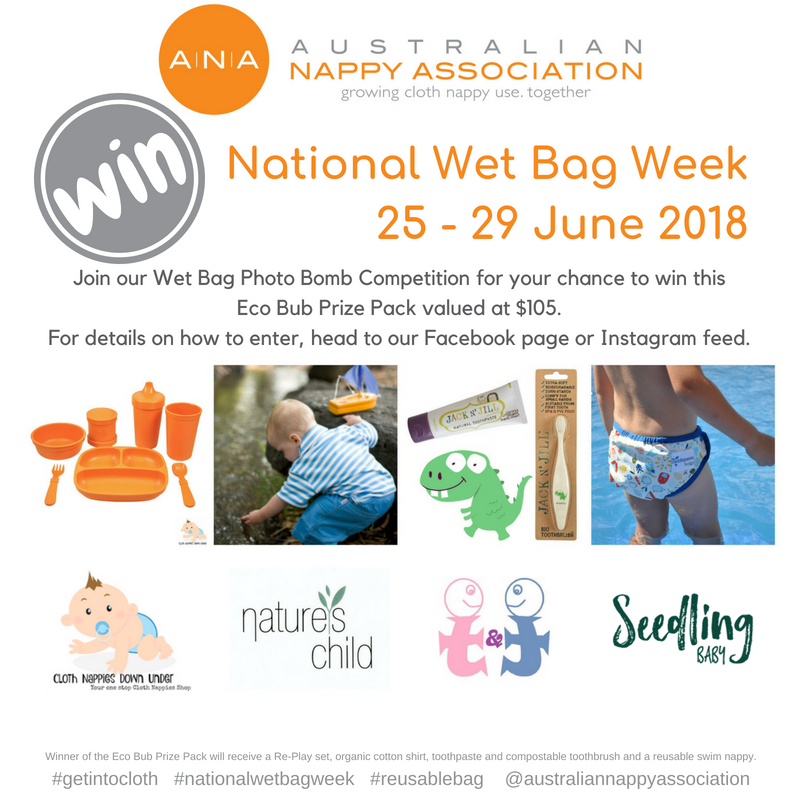 Have you ever taken a photo or shot a quick video and noticed later that it was “wet bag bombed”!? 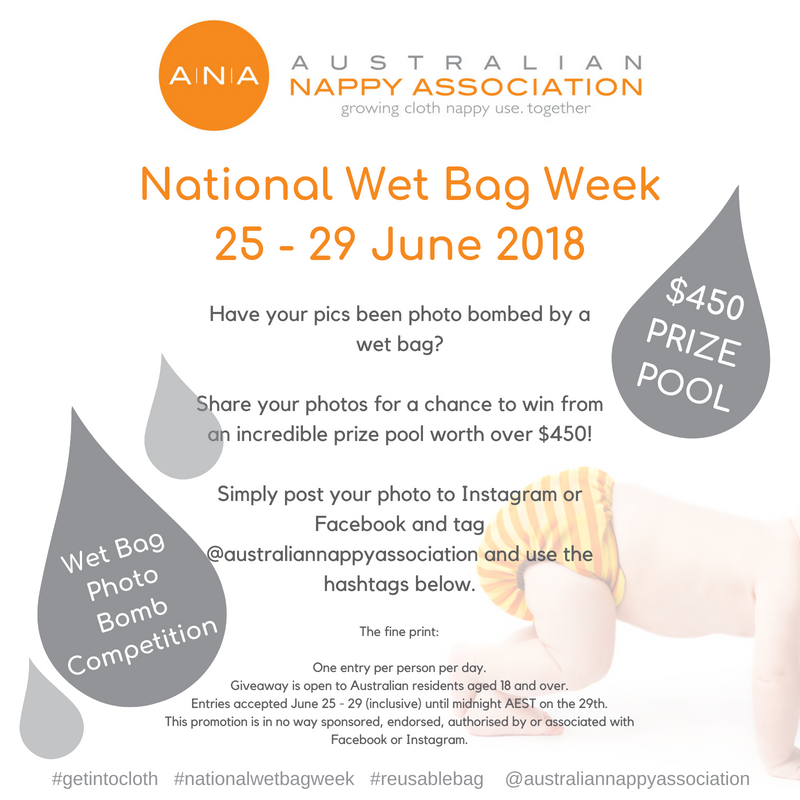 Well, we want to see those wet bag bombed photos and videos! 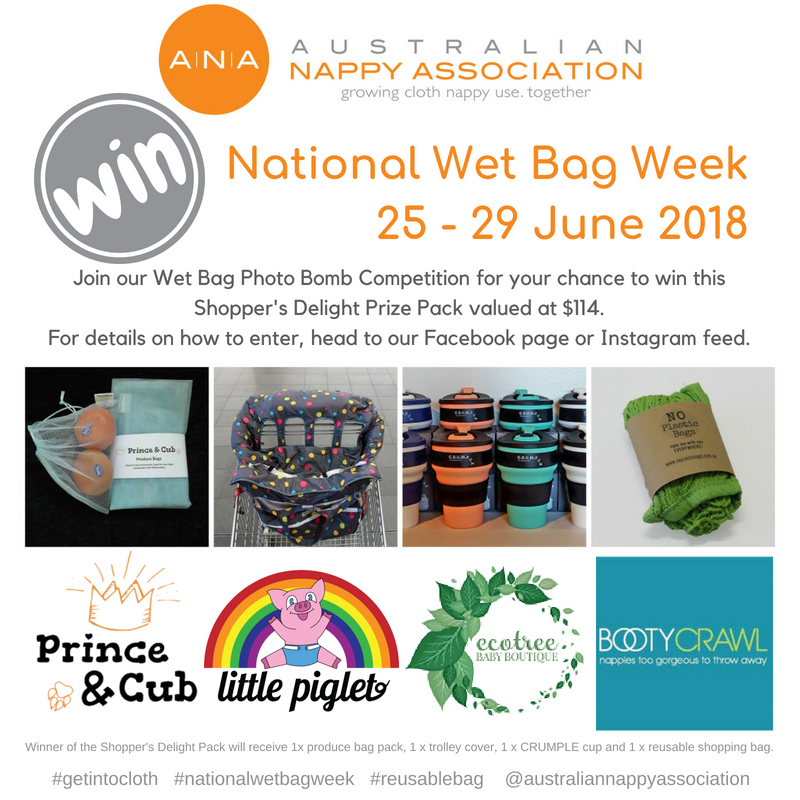 Between June 25 and 29 (inclusive), upload your photo on Instagram or Facebook, tag us @australiannappyassociation and hashtag #nationalwetbagweek #reusablebag #getintocloth and go on in the draw to win from an incredible prize pool valued at over $450! Huge thanks to our ANA industry and supporter members whose phenomenal generosity has made such a rewarding competition possible. 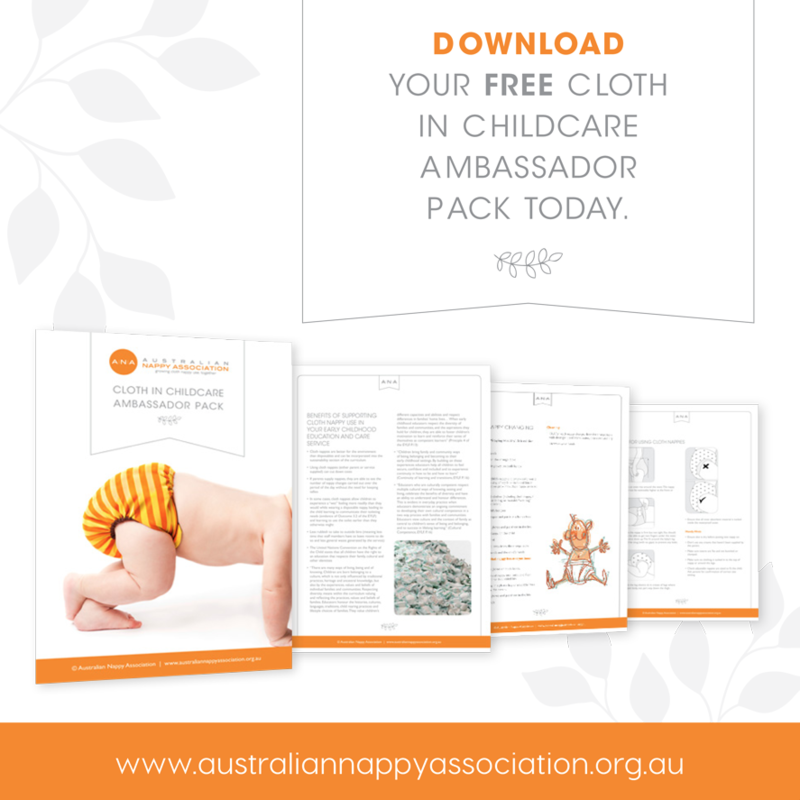 All of these prizes are fantastic reusable products that help the whole family enjoy a more self-sufficient and sustainable journey. 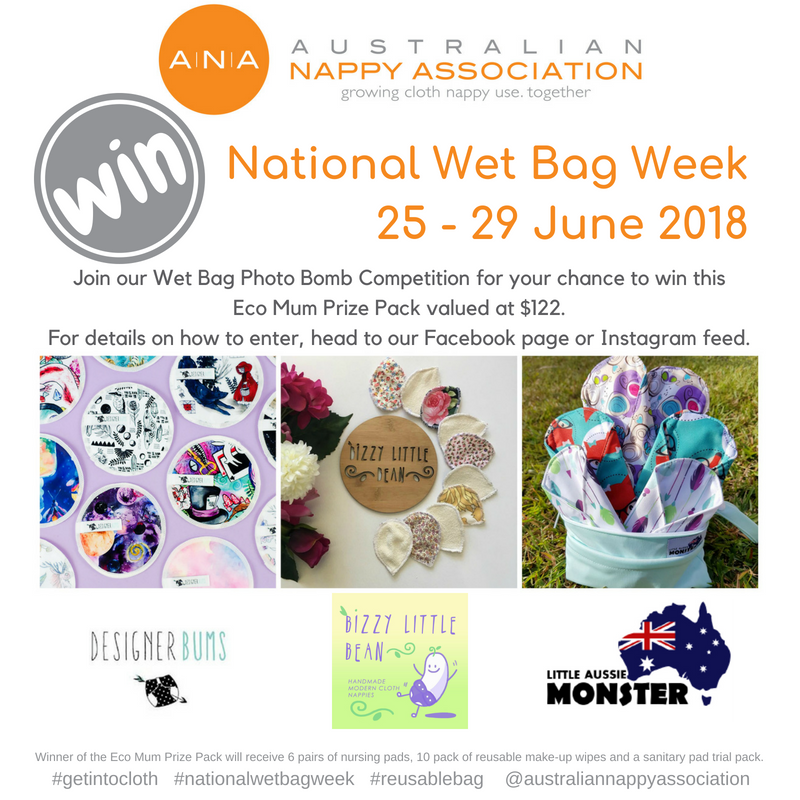 Entries accepted June 25 – 29 (inclusive) until midnight AEST on the 29th.